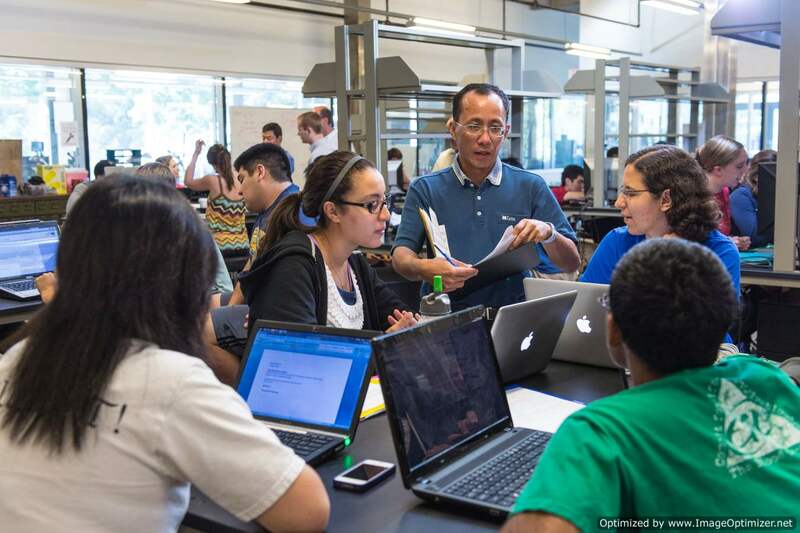 The Oshman Engineering Design Kitchen (OEDK) represents a shift in the culture of engineering design at Rice. 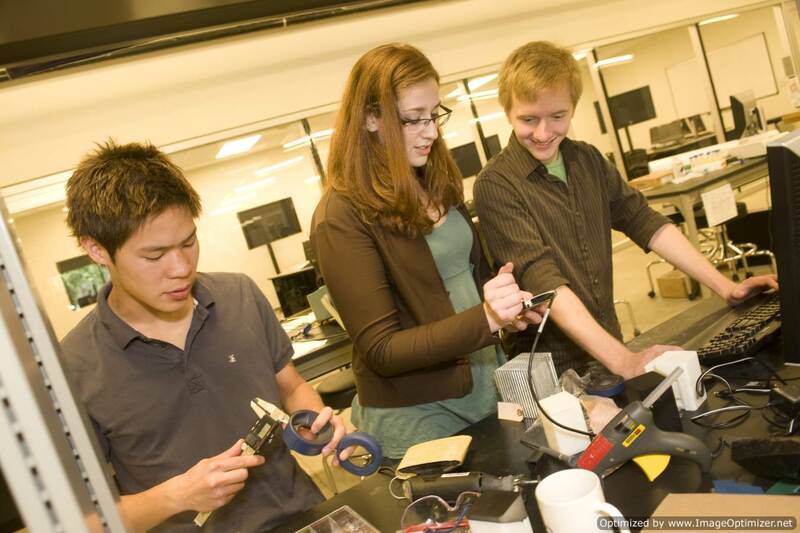 It provides undergraduate engineering students with ready access to design tools, prototyping equipment, computational facilities, meeting rooms and ample space for prototype design and development. But the OEDK is more than a place where design happens — it is also a hub of activity and a social center that emphasizes creativity and experimentation. The next generation of engineers will face incredible challenges that will require them to have more than a deep understanding of engineering fundamentals — they also must have the ability to work in diverse teams during all phases of the design and technology development process and to effectively communicate ideas. To equip our students with the skills they need to succeed, we go beyond textbooks, classrooms and online learning platforms and provide them with the hands-on experiences they need to flourish. Such experiences, when tied to real-world design challenges, foster enthusiasm for problem solving and keep our students engaged throughout their academic careers. Our goal is to give every engineering student a significant team design experience before graduation. Our students work on design teams organized around core themes such as energy and sustainability, robotics, infrastructure and health. These teams may consist of students from several engineering disciplines, mimicking what they will encounter as practicing engineers. Many times these teams mimic "real-world" teams, which helps our students prepare for jobs in industry. To meet the demand for engineers who are effective communicators, our students are coached in oral presentation and writing in a way that not only enhances their speaking skills, but teaches them how to support their ideas and assertions with data and logical argument. Through collaboration with the Rice Alliance for Technology and Entrepreneurship, our students are coached in real-world business planning and entrepreneurship. Many of our students are required to participate in an annual elevator or pitch competition focused primarily on undergraduate engineering design, which gives the students the opportunity to practice the skills involved in communicating about a project. 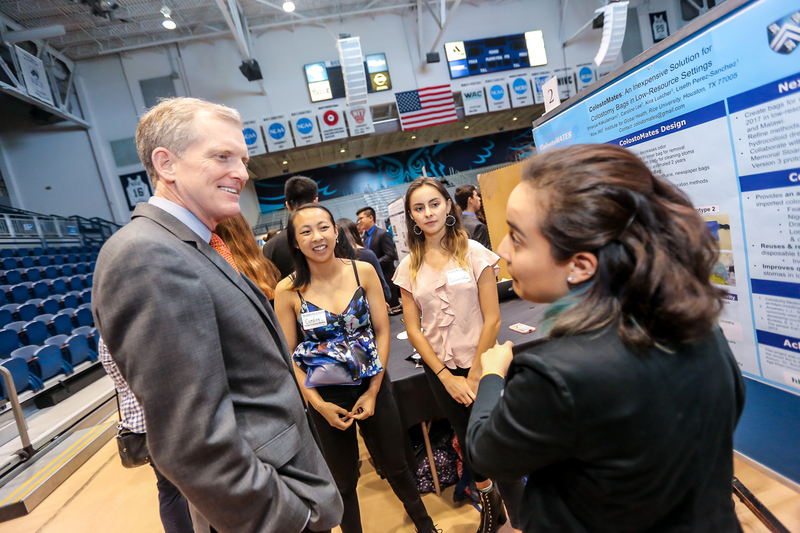 To enrich leadership, communication, presentation and teamwork skills, our students are encouraged to participate in design competitions, both at Rice and nationally. Each year our design teams compete in an Engineering Design Showcase at Rice, featuring 80-100 teams and judged by industry and community partners.